Kangaroos winger Dane Gagai is expecting an explosive start against the Fiji Bati in the World Cup semi-final in Brisbane on Friday night. Gagai admits to being “blown away” by the athleticism, size and power of the Fijian side. He says the qualities of the Bati are epitomised by Melbourne winger Suliasi Vunivalu who have scored eight tries during the tournament after having turned in a stellar NRL season for the Storm. 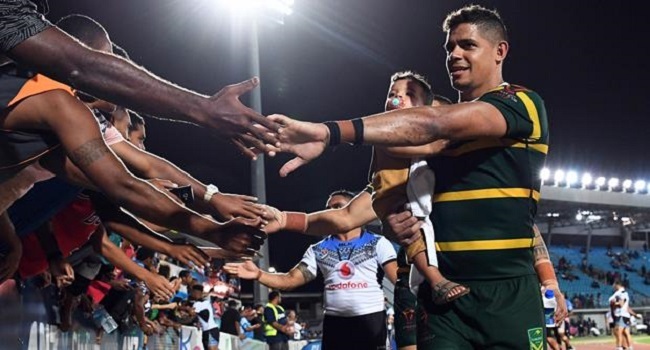 Gagai said Fiji would pose as they target a second upset. The Fiji Bati will take on Kangaroos at 10pm Friday in Brisbane.